These no flour, 3 ingredient Peanut Butter Cookies are divine. 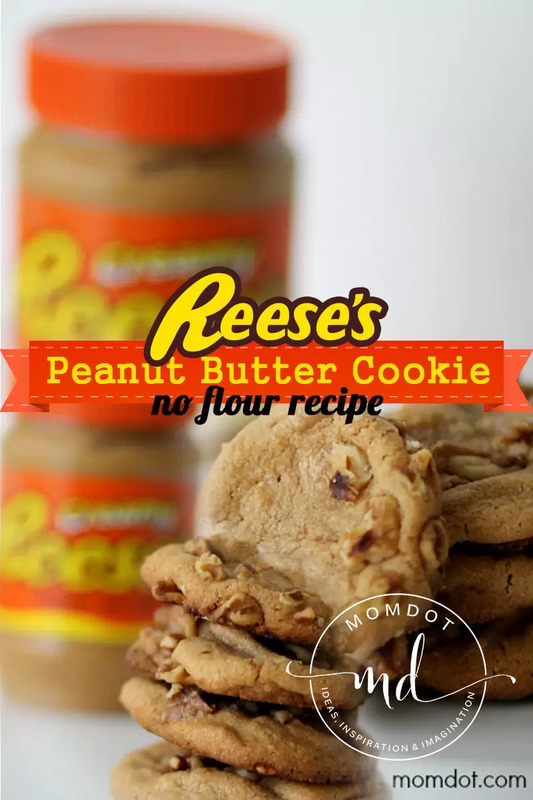 The secret ingredient is Reese’s, who no doubt puts out the best candy AND the best peanut butter known to man. 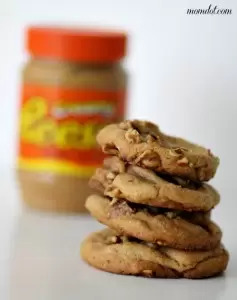 You wont believe what fun and how easy this peanut butter cookie recipe is! Well now. I have been a lazy blogger this week. With the anticipation of Isaac the last few days and now the onslaught of rain and wind, the only motivation I have is to lay here and surf facebook. Except now I am bored of doing that too, so I guess I am back.During the past week since we have had plenty of time in the house so Charlotte and I decided to make some cookies. Now these peanut butter cookies are super easy and require NO flour, which makes them so super unique. Just smooth, creamy peanut butter! Put your oven on 350 preheat. Now pull your Reese’s Peanut Butter…. I know what you are thinking….Reese’s Peanut butter? Where do I get that? I got mine at the Hershey Park and it’s To. Die. For. You can sub for whatever Skippy, Peter Pan, or Jif you can’t find it, but I always say the cookies are only as good as the peanut butter, so do not skimp! Combine your cup of peanut butter, cup of sugar, and egg. Because PB is so sticky, I put everything in a stand mixer and let it do the work. Now either put down parchment paper or spray your cookie sheet with a no stick spray. I prefer the no stick spray with flour in it. Gather your dough into balls and then roll in nuts. I used walnuts but you can use peanuts…or no nuts. Your nut preference. Cookie Idea: I don’t know how well Reese’s Pieces would hold up in the oven because I have never baked with them, but I think this would be as good of a time to put in your cookie if you have them around. Bake for about 15-18 minutes depending on your oven and how big you make your cookies. Remove, let cool a few minutes, then transfer to a cooling tray or plate. They may be a tad “gooey” but once cooled all the way will be perfect. Mix your cup of peanut butter, cup of sugar, and egg. Gather your dough into balls and then roll in nuts. Remove, let cool a few minutes, then transfer to a cooling tray or plate. They may be a tad "gooey" but once cooled all the way will be perfect. I made these tonight! They taste gooooooood. I put choc chips in them! I’m making some of these this weekend! They look yummy! 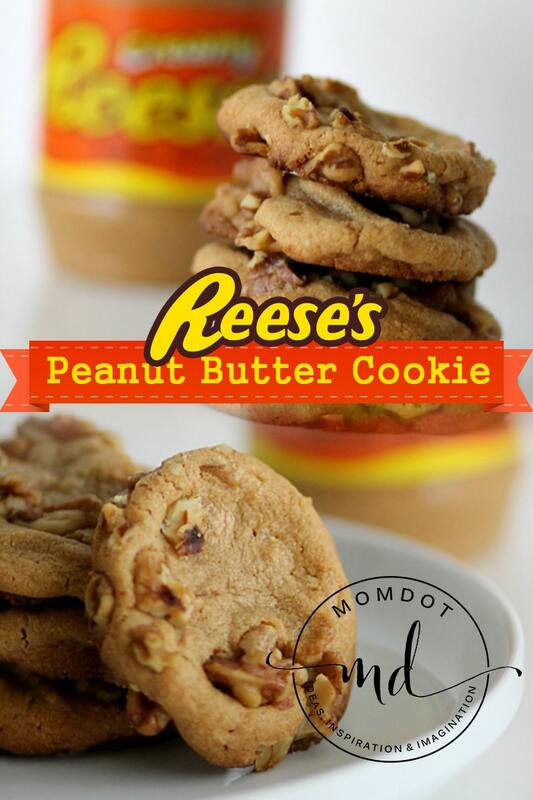 I’ve been making these for years, but I haven’t made them with Reese’s Peanut Butter yet. BTW, in Tennessee they carry that peanut butter at Kroger and Food Lion. These look so good! We love peanut butter cookies here at our house! We also go through peanut butter like it’s going out of style. I don’t even think we have any in the house right now…..shopping time! I will have to make these for my daughter, soon! The kid LOVES peanut butter. Bet these would go well with chocolate chunks or chips. Maybe M&M’s. I just love chocolate and peanut butter together. Oh man.. I wish I could eat peanuts! Hubby would love this! Very interesting that the peanut butter itself holds up as a cookie with no flour. That is genius, i would have never known to do that! I will definitely be trying them. They worked and they are so yummy! Nah, you will be back thanking me. I’ll be gaining another 20 before Brandcation! It’s a home school exercise in measuring, right?! Yum! These look great. I pretty good indication that I should not make them if I want to stick to my diet. i have eaten about…well over half of them. They are really good.